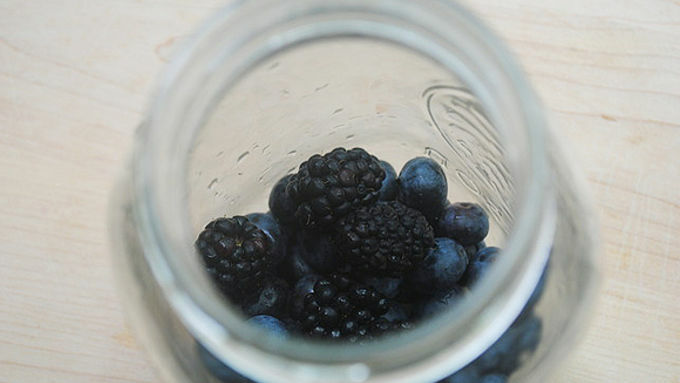 Divide fresh fruit between 4 large canning jars. Pour vodka over fruit and, using a long wooden spoon, mash the fruit. Let vodka infuse overnight until it turns a deep purple. Strain vodka to remove fruit particles, saving the fruit for garnish if desired. 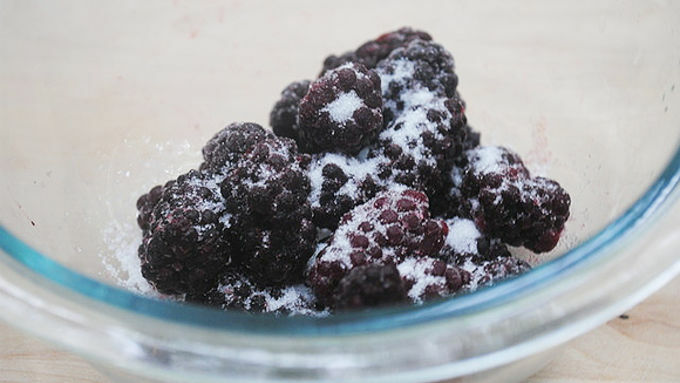 Mix frozen fruit with sugar in a bowl and thaw. Add frozen fruit to bottom of cocktail glasses or small canning jars, then pour vodka over the fruit. Garnish with liquored fruit and lemon slices. Add ice and serve! Infused vodka? Blackberry-infused vodka? You’d better believe it! I think the blackberry is an undervalued fruit. It doesn’t really get that much attention. I’m here to change that-- by adding vodka ... and what the blackberry does to vodka is unmistakably great. 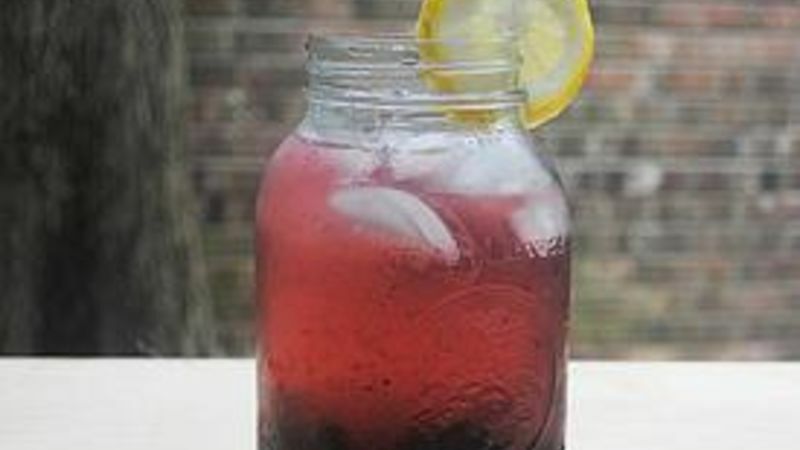 When I saw this adorable Mason-Jar Blueberry Infused Cocktail, I knew I needed to add my secret weapon – the blackberry. I add it to blueberries to make this drink "black and blue." So clever! Add a top with a fun straw or ribbon around the edge of the jar -- fabulous hostess or housewarming gift!. Try out some other infused drinks from Tablespoon!